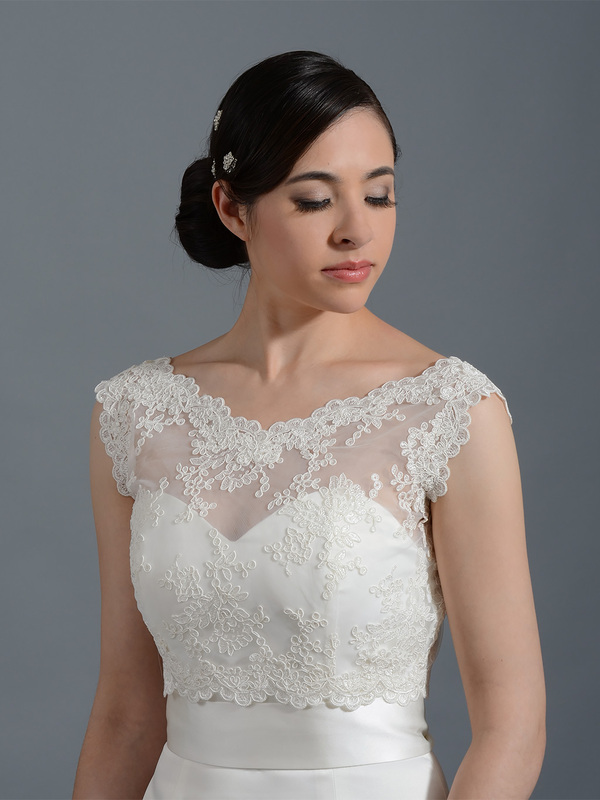 This is a beautiful v-neck sleeveless re-embroidered lace bridal bolero wedding jacket. The color is available in ivory and white. It features satin wrapped buttons at the back. 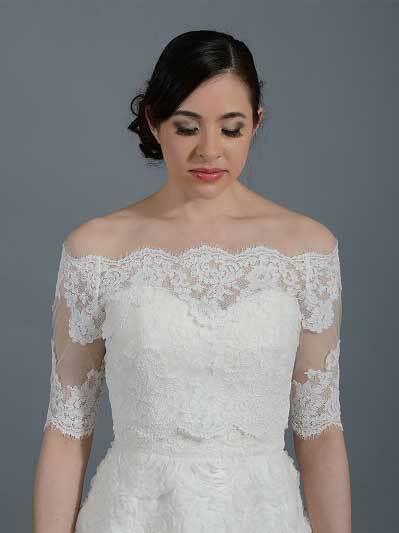 This is the perfect lace jacket if you want to add a different look to your strapless wedding dress. 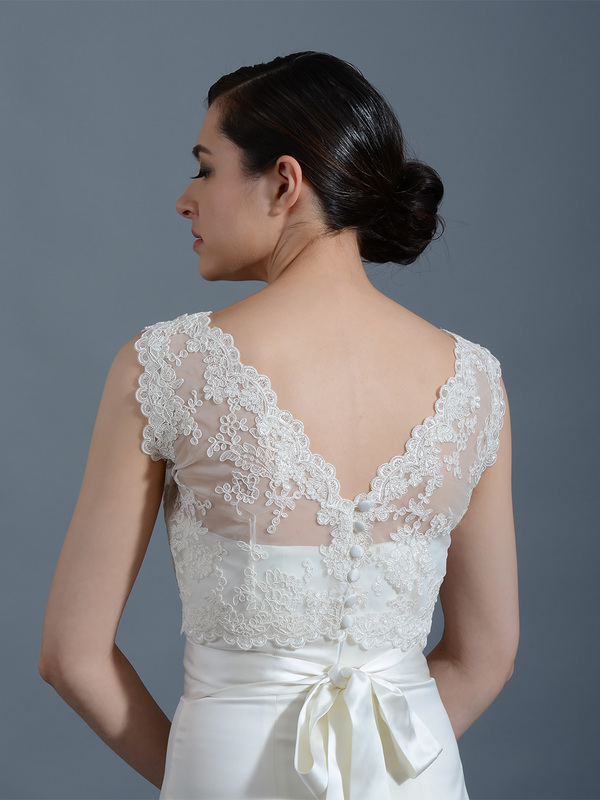 The first 3 pictures show the ivory bolero. 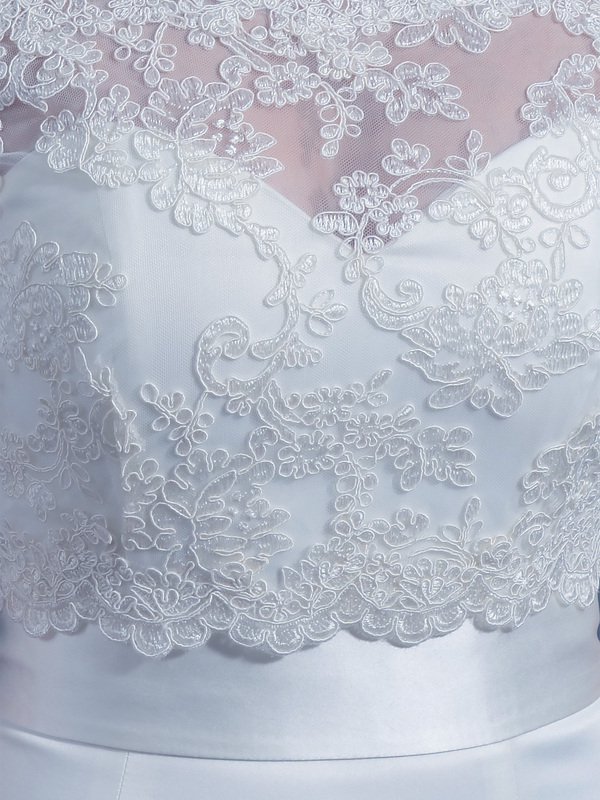 The last picture shows the lace used in the white version. XXL size normally fits US size 18-20 (The white XXL size is made to order and the lead time is 2 to 3 weeks). 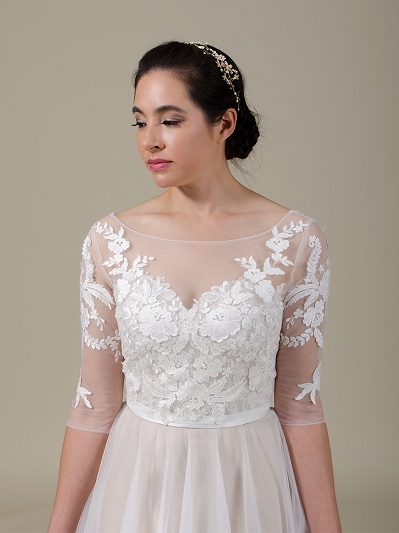 I purchased this to add to my daughter''s strapless lace gown for just a little more coverage in the bust. The gown had all-over lace that was lovely, but this jacket made it just perfect. The lace matched remarkably well. It was amazing how the addition of the jacket transferred the attention from the bust to the bride''s face... which is where we''d rather have everyone look anyway, right? 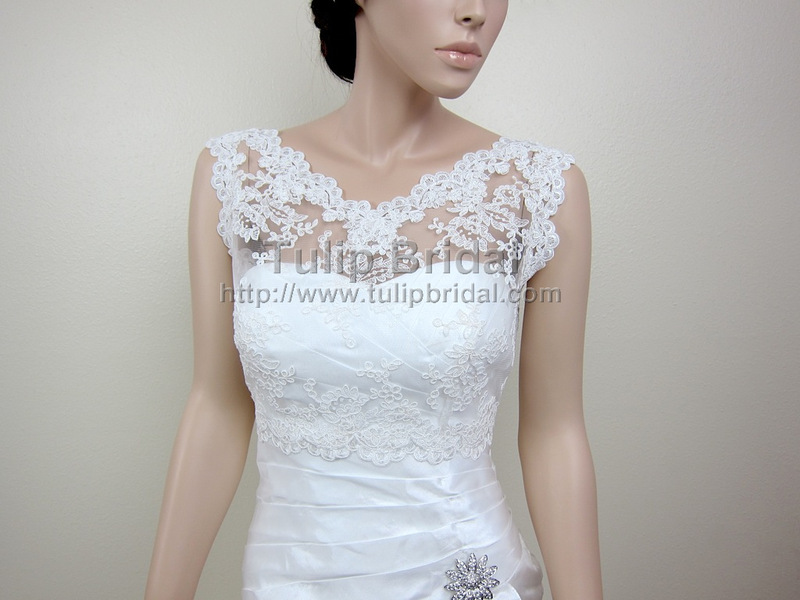 And my shipment was received within days -- Thank you Tulip Bridal! This bolero was the perfect addition to my dress. I liked my dress without it and I Loved my dress with it. Great quality , beautiful item! I'm very thankful that I found this before my big day. Added class and beauty. 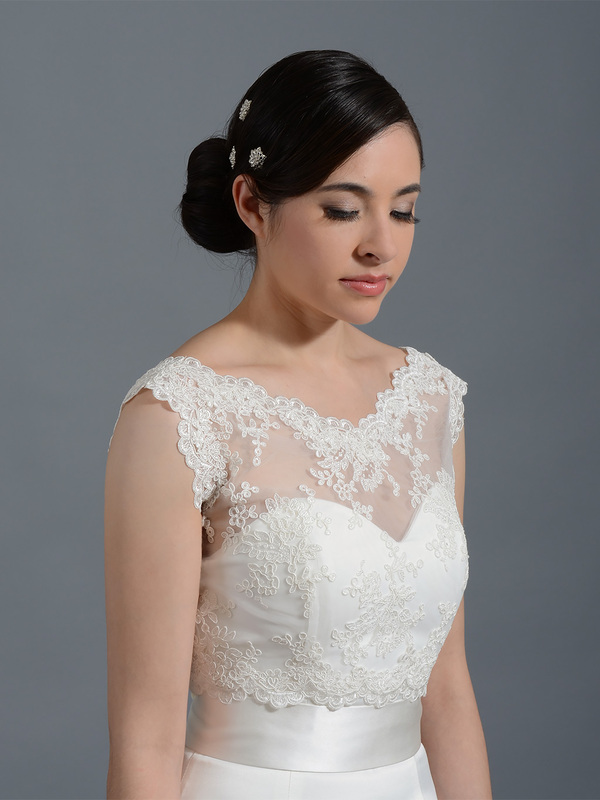 I bought two boleros from Tulip Bridal in hopes of keeping one of them. I searched FOREVER to find one. I bought this bolero along with a bolero with 3/4 sleeves. I fell in love with both of them, however I ended up keeping this one because it was more comfortable. I LOVE IT! It is absolutely beautiful. 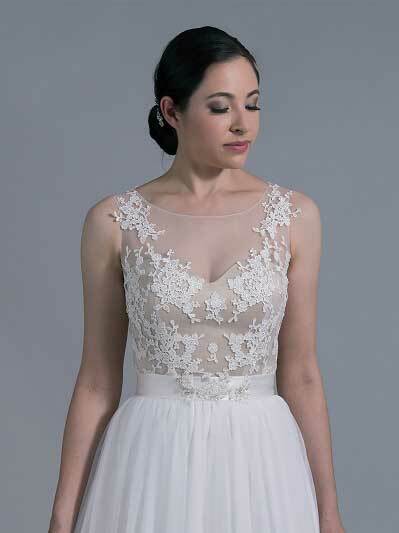 It made my simple wedding dress complete. 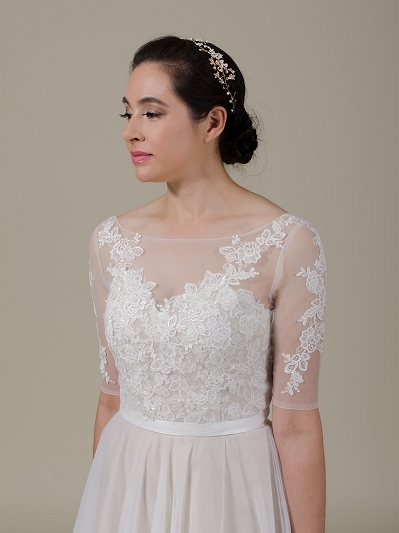 The lace is perfect and the buttons on the back are adorable. The return process on my other bolero was very easy. I contacted them within two days and they got back to me quickly. My only complaint is that I did not receive my money for my return until I asked them to credit my account! After I told them about the money issue they credited my account within an hour. This company was very easy to work with and they make high quality products. I would definitely recommend.